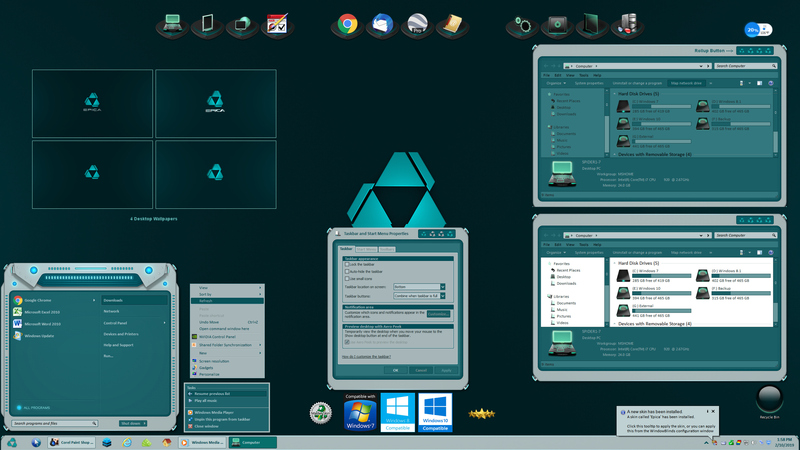 Epica is a new Master Windowblinds skin designed for Windows 7, 8 and 10 with dark and light explorer sub-styles. It is easy on the eyes and has great looks, yet maintains high functionality. A roll-up button has been integrated into the skin for those who use it, and many thanks again to RedneckDude for his valued assistance in the testing of this skin. The wallpapers shown are included with your purchase in 1920x1080 and 2560x1440 resolutions. I know you'll enjoy the look of Epica on your desktop! NOTE: On Windows 10 v1809, the explorer tree area background on the Dark Sub-Style will be white until Stardock can fix the issue. Great skin as usual Tom. Thanks much Chuck, Dave and Don! Tom, this is by far one of the top light skins I have ever had the pleasure to use! Sweet! Very very nice indeed. Easy on these old eyes. Es tut uns leid zu widersprechen, aber diese Seite hatte immer Master Skins. Wir "Master Skinners" stellen auch kostenlose Skins aus. LOL Didn't even know this was released. -The BEST Tom !, The best ! -Luvvit, supernice & EPIC !!! Thanks Dcrew57, Vicki and Andy! Very much appreciated! Typ uw probleem in Nederlandse canjes en ik gebruik Google Translate om het in het Engels te vertalen. Kan je ook een screenshot geven van het probleem dat je ondervindt en dit duidelijk uitleggen? Bedankt.